China to Retaliate with Counter-tariffs against U.S.
Home / Business & Economy / China / Global Trade / Tariff / United States / World Economy / China to Retaliate with Counter-tariffs against U.S.
On March 23, 2018, China announced a plan for counter-tariffs/reciprocal tariffs on imported American goods. The decision was taken against the new tariff imposed by the United States (U.S.) on up to $60 billion worth of Chinese imports. It says, "will slap tariffs on 128 US products, including steel" and "planning to levy duties on $3 billion worth of U.S. exports to balance losses caused by the U.S. metal restrictions against China". As a result, stocks in Europe and Asia slumped Friday following the biggest losses in U.S. equities since the early-February downdraft. The news sent U.S. equities tumbling, with the Dow Jones Industrial Average falling 724 points, almost 3 percent, its biggest drop in six weeks. And in Asia, Japan's benchmark Nikkei 225 index on Friday plunged 4.5 percent to 20,671.11 and South Korea's Kospi tumbled 3.1 percent. Both China's Shanghai Composite and Hong Kong's Hang Seng have lost over 3 percent. Benchmarks in Southeast Asia and Australia also fell. 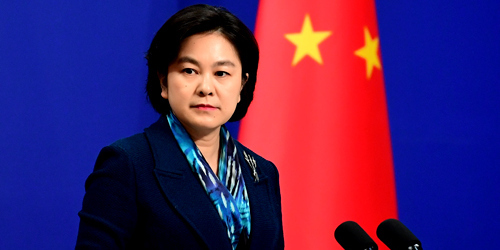 During the regular press briefing, Chinese Foreign Ministry Spokesperson Hua Chunying said on Friday (March 23), "The U.S. has acted in disregard of China's strengthened protection for intellectual property rights, the WTO rules and the call of the business community. This is a typical act of unilateralism and trade protectionism and the Chinese side strongly opposes it. Such action does not serve the interests of China, the U.S. and the world at large and sets a very bad example. Under no circumstances will China sit idly and allow its legitimate rights and interests to be undermined. We are fully prepared to firmly defend our legitimate interests." She further added, "The U.S.' persistence in advancing the Section 301 investigation and publishing the so-called findings to pick a trade war will undoubtedly undermine the interests of American consumers, enterprises and the financial market directly." But China, trying to avoid a head-on collision with the U.S. because it has a lot to lose in a trade war, also asked the US to work towards settling the dispute rather than escalating it. During the yesterdays press briefing, Hua Chunying continued "As you can see, all the three major U.S. stock indexes have fallen following the signing of the Memorandum, which is a vote of no confidence to relevant wrong policies and moves of the US side by the financial market, and it also sheds light on the international community's concerns over relevant reckless and dangerous policies and actions taken by the US side". Beijing is talking tough to salvage its political prestige but still hoping for a solution.